More Americans are choosing to lease instead of buying their vehicles. That means there’s a greater need for credit unions to offer their members leasing options. In 2016, 31 percent of all new vehicle sales were leased. Not only that, but 2016 represented the seventh straight year that the number of car leases in the US increased. Millennials, especially, are more interested in leasing than buying a vehicle. Close to one-third of millennials (71 million) who obtained a new car in 2016 decided to lease instead of buy. There’s a lot of potential for growth in that population segment as well; millennials are expected to surpass baby boomers as the largest adult generation in the US in 2019. When millennials join your credit union, you also gain members who will bank with you for the rest of their lives. That means they’ll likely take advantage of other services you offer. Currently, most car leases are financed through large banks. But the fact that more people are looking to lease instead of buy gives credit unions the opportunity to extend their services and grow their membership base. Credit unions that have started lease programs have proven it can be done successfully. The most obvious benefit of implementing a lease program is that you’ll be able to offer existing credit union members the option to lease a car. But - more importantly - you’ll also make yourself appealing to non-members who are only interested in leasing a car. A lease program may be enough to encourage them to join your credit union. 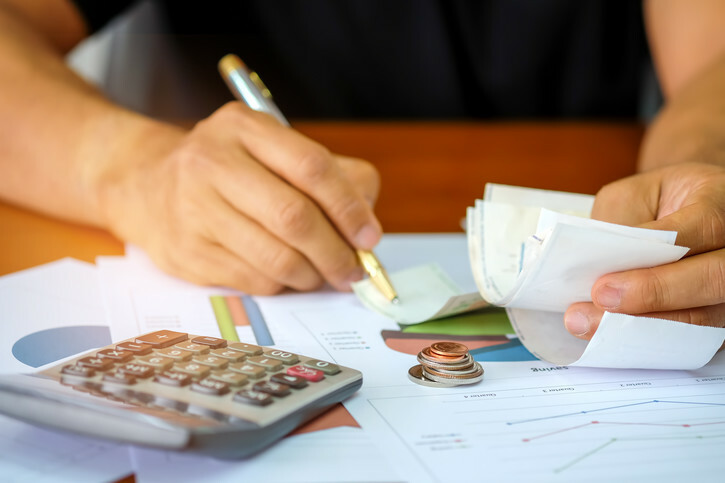 In addition, they may eventually finance a home or other property, such as a boat or an RV, with you, and take advantage of the other services your credit union offers. There are a finite number of people who buy cars. As car leasing gains popularity, the number of people purchasing cars and in need of car loans shrinks. That makes the car loan market more crowded and competitive. 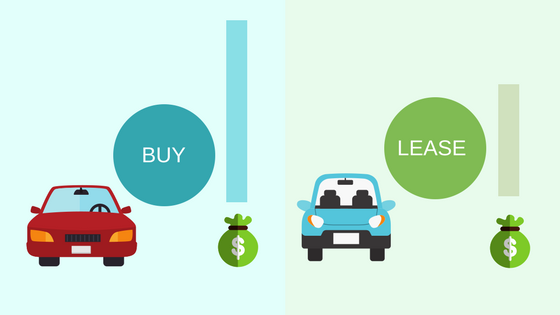 Speaking of competition, car leases are far less competitive than auto loans. 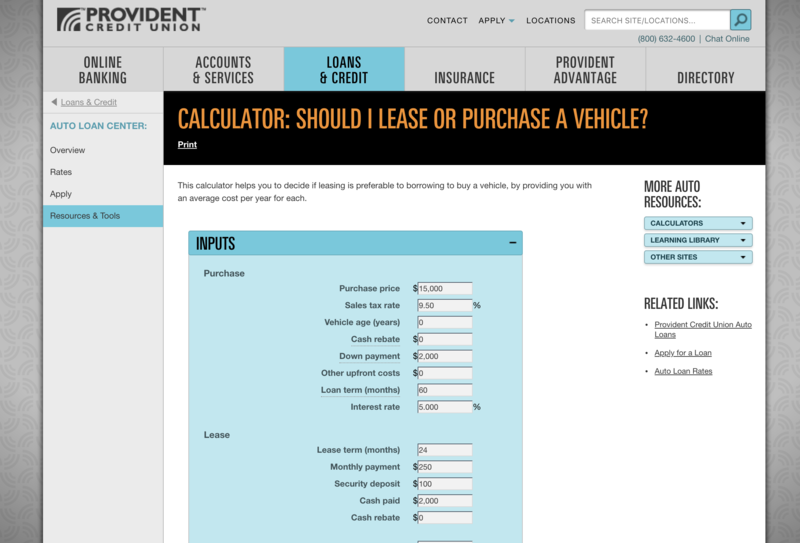 Dealerships may offer a dozen options for financing a car purchase, in addition to the credit union. But leases typically involve only the captive auto lender, which is typically owned by the car manufacturer, and the credit union. 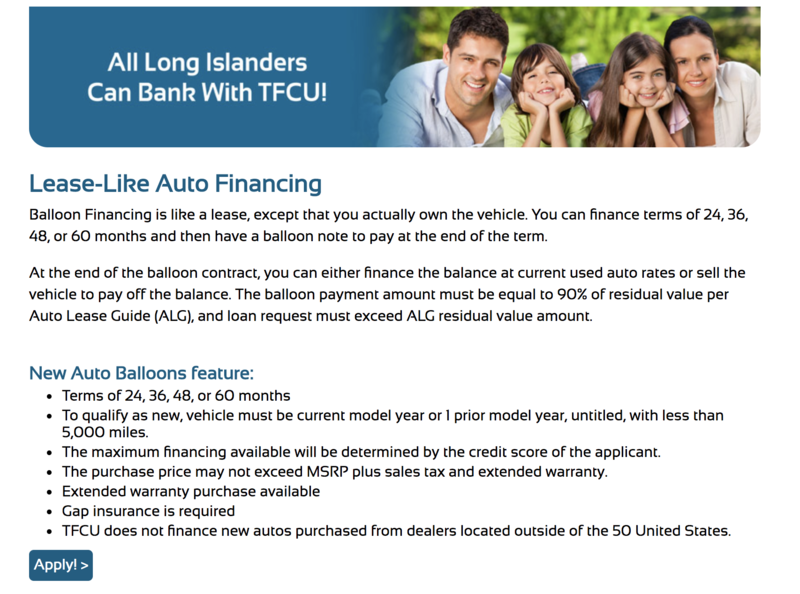 Offering car lease finance options will also help diversify your credit union’s loan portfolio, which is one of many ways banks can survive if particular asset categories begin to tank. And - in a way - car lease payment never end. Someone who purchases a vehicle and takes out a loan will eventually pay off the loan, which means they stop making payments to your credit union. But someone who leases a vehicle will continue paying monthly payments to drive a car until they decide to purchase one. Credit unions usually don’t offer lease programs because the credit union takes a hit if the residual value of a leased vehicle is lower than market value once the lease is over. When that happens, the credit union takes a loss. 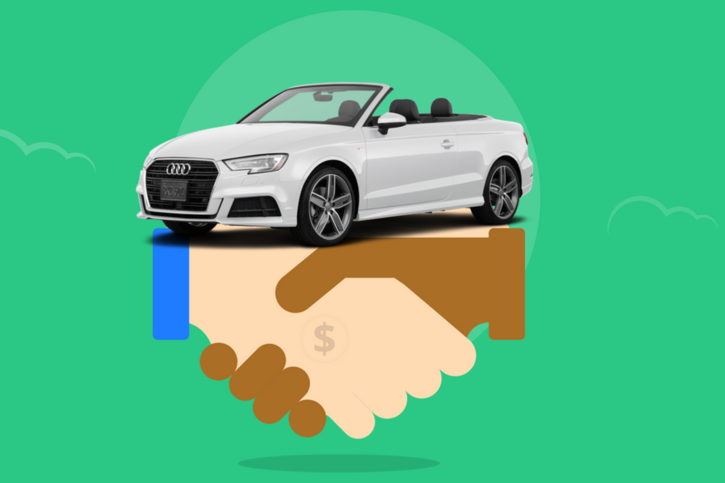 For that reason, it’s important you partner with a third party that will take on all the residual risk and fees associated with leasing vehicles. It can also be more difficult to grow a preferred dealership network for car leases if your credit union doesn’t offer dealers a commission on new leases. 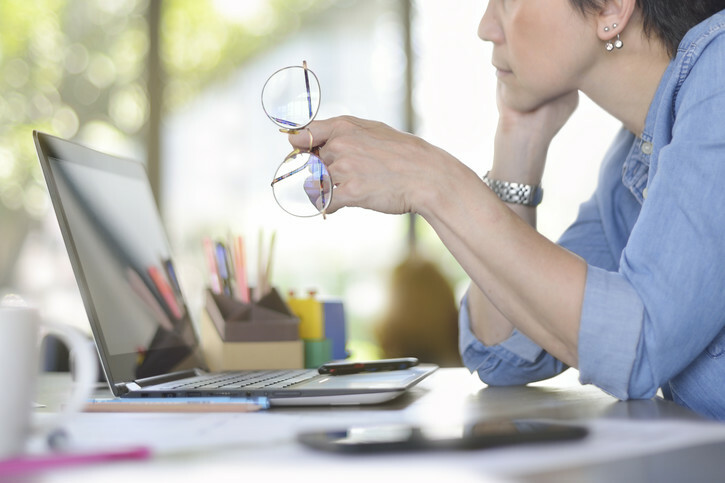 Although this is a staple of the services credit unions offer, it can pose a problem. Finally, depending on where your members are located, creating a lease program may not draw in a lot of people. If you’re in an area where people tend to put a lot of miles on their car, you may have a hard time getting members to lease instead of buy. Not only that, but the value of the car will drop the more it’s driven. Plus, a car being driven a lot is susceptible to higher maintenance and repair costs. Credit union members reap the same benefits as anyone who decides to lease versus own. And they’ll be happy they get to do it with a bank that prioritizes customer service over margins. A lower monthly payment is one of the biggest reasons people opt for leasing. Just as you pay lower interest on a car loan at a credit union, you pay less per month on a lease. 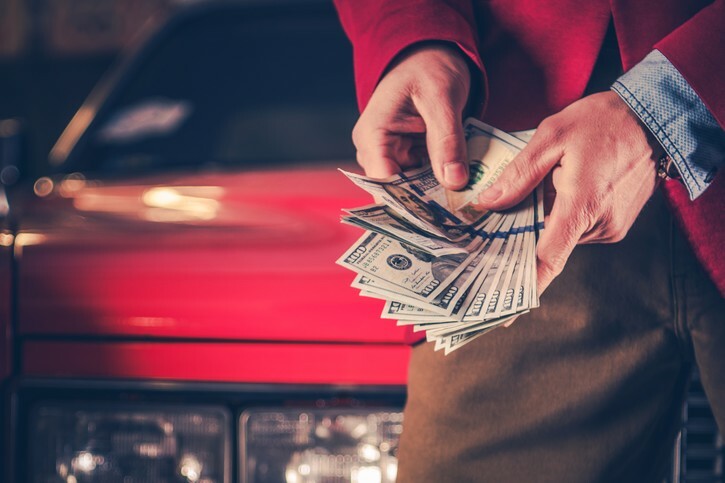 The money factor essentially serves the same purpose as an interest rate on a car loan; It’s what you pay to the leasing company as compensation for the risk they take by trusting you’ll make your lease payments on time. To top it off, car leases give members access to higher-quality vehicles that otherwise would be out of their price range, allowing them to take advantage of the most advanced safety features and technology in newer vehicles. Head to Carlease.com to learn more about what we do, or contact us directly to find out how we can work together.